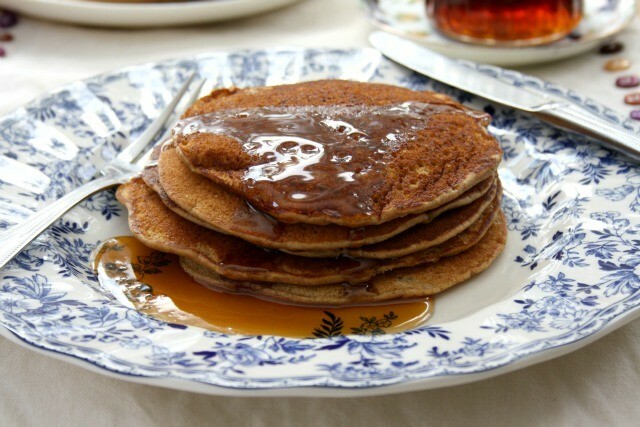 What is the ethnic origin of Buckwheat pancakes wit butter and molasses? It was something I ate often as a child. It was clearly an old family recipe. My family was old New England going back to the 1600s. Most of my Family was Northern European. I used to think that it was Swedish, Lithuanian or even Russian. I have found some references that it my have even originated with our colonial English ancestors. What’s the story? Dear Carl, In my family history buckwheat pancakes were an Acadian thing (Canadian Maritime provinces), which would overlap with New England. 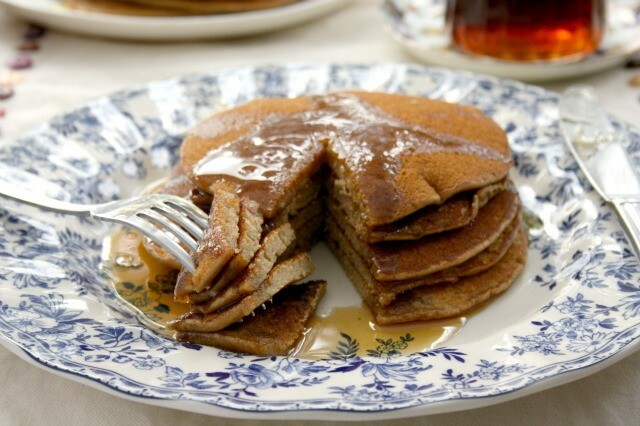 And ployes (another name for buckwheat pancakes) were popular in northern Maine and western New Brunswick. Buckwheat crepes are popular in North Western France but I’m not sure if that’s the origin of the Acadian’s use of buckwheat. All that to say, there many be many stories about the origin of buckwheat pancakes. 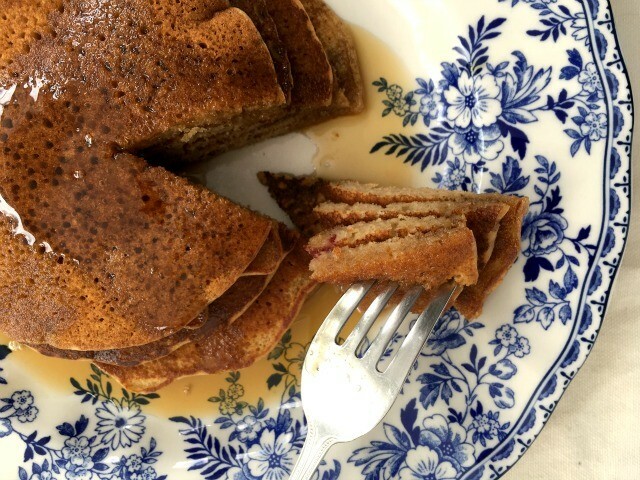 To this day buckwheat is grown and milled in New Brunswick so I have a ready source of fresh flour for this delicious recipe. 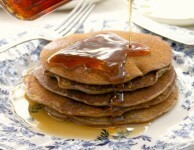 I agree I was raised in Nova Scotia and the only pancakes I ate were buckwheat. Never saw a regular type pancake u till I moved to Toronto in my twenties. Molasses makes a great Glaze for steaks. Marinate the steak and season it to taste. Give it a first grill at high temp, only one minute or less on a side. Let it rest and continue marinating your guests. Turn the heat down so you can control it. Cut the Molasses with 50% water add some butter. I always add Bourbon for sweetness (I don’t drink the stuff, only Scotch) and Worcester for tartness. When you have the temp below 325F throw some wet fruitwood chips in. Do not open it very often. Monitor the temp for their preference. When you are done marinate your guests once more. you have to wait for the heat to dissipate and the juices to commingle. It is not the same thing as a pie setting. The molasses Glaze is really great it is dark like a crust and gives a good finish.